Investor visa Australia? Are you on the hunt for a suitable place in which to grow your money but don’t want to take an active part in the day-to-day operations of a business venture? In other words, you just want to be an investor in Australia rather than a business operator? No worries, we have a worthwhile suggestion for you: Why not bring your funds and invest in Australia? Investing your funds in some select industries in Australia can be an attractive proposition for your money to earn handsome profit. We all know that Australia does not run out of advantages for any business person or an investor like you either to expand your business or put your extra capital in some profitable ventures. Investor visa Australia would be required. For one, it has at its disposal one of the most qualified and diverse labor markets in the world. It also offers low-risk, easy to understand and well-regulated investment ecosystem as well as research and development initiatives that are at par with the best the world can offer. Best of all, the country remains a safe and secure haven for everyone, be they citizens, permanent residents and guests. Part of the reason is its close relationship and coordination with its neighboring economies, which are one of the fastest growing in the world today. In short, Australia stands as a great place to grow your money, especially in the financial and real estate sector. Australian investor visa it the one you should apply for. But before you ask your secretary to book the next available flight for you to Australia, let’s take care of the basic requirements first. Since you prefer not to get involved with the nitty-gritty of the business where you want to put your money in, you intend to be an investor rather than a business person. For that reason, you should obtain an Australian investment visa. This brings us to visa subclass 188, or more formally known as Business Innovation and Investment (Provisional) visa. This type of visa has five streams, three of which are intended for those who want to maintain an investment activity here. These are investor stream, significant investor stream, and premium investor stream. What separates the three from each other is basically the amount of investment. The first one requires you to put in AUD1.5 million in an Australian state or territory and keep investment and business activity there. You must be nominated by a state or territory government. Significant investor stream, on the other hand, demands that you put up the amount of no less than AUD5 million to be able to be considered of this stream and want to maintain business and investment presence in the country. In this stream, you need to be nominated by Austrade on behalf of the Australian government, instead of the nominating state or territory government. 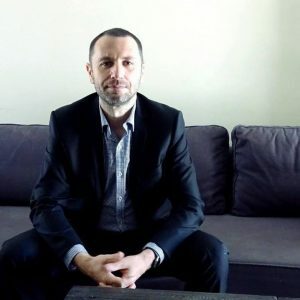 If, however, you are willing to allocate not less than AUD15 million for investment as a requisite for the premium investor stream, then you will qualify for it. Also, you still need to maintain investment and business activity in the country and should be nominated by Austrade on behalf of the Australian government, instead of the state or territory government. Let’s face the reality – you are a busy business person and don’t really have time to read all of the information here, so why don’t you just contact us and we’ll have a chat about your situation and will take care of your visa. Just give us a call. The amount of your investment is not the only factor that sets one stream apart from another stream, though. The eligibility criteria likewise vary among the three, which we are going to discuss in detail here. When it comes to age, you must be under 55 years old. This requirement can be waived by the nominating state or territory, though, if your proposed investment will prove economically beneficial to the nominating state or territory. You need to possess a high level of management ability relative to the approved investment endeavor. You have actually experienced managing one or more nominated investment activities for at least three years. You can demonstrate a record of success when it comes to handling an eligible investment. You commit to continue investing in Australia even after the original investment will have matured. You truly intend to live for not less than two years in the state or territory where you have made an investment. Have directly managed eligible investments of at least AUD1.5million that are owned by you, your partner or you and your partner together for at least one of the five fiscal years just before you are invited to apply. Have acquired a net investment and personal assets of not less than AUD2.25 million during the two fiscal years just before you are invited to apply. These assets must be available for investment in Australia within two years after the visa has been granted. Invest not less than AUD1.5 million in a state or territory government security using available funds gained from eligible investments and be prepared to maintain said investment for at least four years from the date of issue in your nominating state or territory. Because of your age, you do not qualify for an Investor 188B visa. Give us a call to discuss your options. Assets of 2.25M AUD are required to be considered for an Investor 188B visa. If you don’t have enough funds to invest, you may consider applying for an ⇨ Australian business visa instead. Not less than AUD3 million in what we call a “balancing investment.” This consists of managed funds allocated for a range of assets including companies listed in Australian Securities Exchange, Australian corporate bonds or notes, annuities, and commercial real estate. if you have a spouse, he/she needs to live for at least 180 days per year (calculated cumulatively) for the duration of your provisional visa. If you are in a partnership, you, your partner or both of you combined must have net assets of not less than AUD5 million. Such assets must be lawfully acquired, unrestricted and available for investment in the country. Also, you and your partner must not have figured in any inappropriate investment activities. In case of loss resulting from the investment activities, you, your partner or members of your family aged at least 18 years old must agree not to take any legal action against the Australian government. 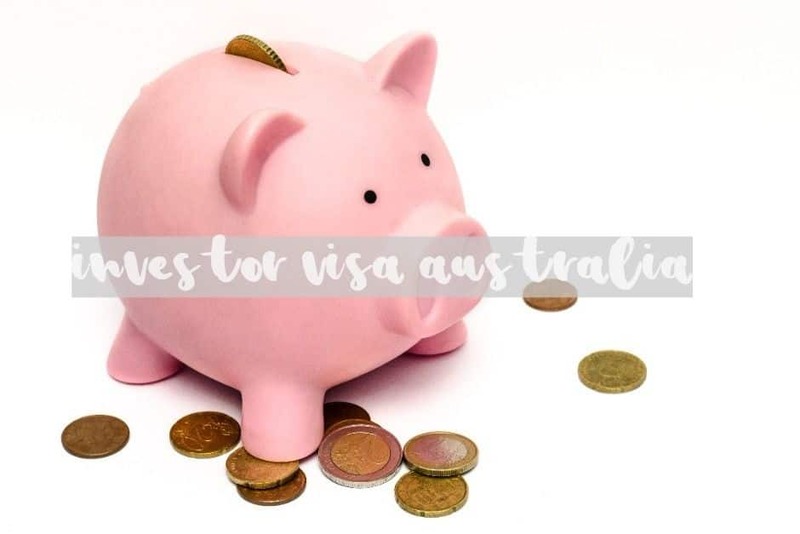 As in the previous investment streams, the Australian government requires you to genuinely commit to continue your investment endeavor in Australia after the expiration of your provisional visa. If you are in a partnership, you, your partner or both of you combined must have net assets of not less than AUD15 million. Such assets must be lawfully acquired, unrestricted and available for investment in the country. In case of loss resulting from the investment activities, you, your partner or members of your family aged 18 years and above must not take any legal action against the Commonwealth. So, there you go: you’ve just gone through the three investment streams under subclass 188. You must already have an idea which of them fits your needs and availability of funds. The question now is: How to apply for any of the investment stream visas? You start by lodging an Expression of Interest (EOI). This serves as a hint that you are interested to secure an investment visa under subclass 188. In your EOI, you must mention the state or territory in Australia where you want to invest your funds in. Where to lodge your EOI? You do it through SkillSelect. This is an online service of the Australian government intended to speed up and streamline visa applications. It does not matter where you are at the time of submission of the EOI; you can either be in the country or outside of it. The amount may not really make a dent on your budget. The Australian government sets it at AUD585, but it may go up depending on the additional dependents. Those dependent applicants who are 18 years of age and above have different rates from those who are below 18 years old. Please spare some amount also for other expenses such as the cost of health and medical checks, police certificates and so on. Speaking of additional dependents, yes, the Australian government allows you to include other people in your application. These are your partner or spouse, your child or stepchild and the child or stepchild of your partner or spouse from the previous relationship. Just make sure that you provide the proper evidence or documents to prove their relationship to you. Please note that the income you earn from your investments here is subject to tax under the country’s taxation regulations. You cannot use your investments as security or collateral for a loan. If you are seeking to obtain Significant Investor stream and Premium Investor stream, the points test does not apply to you. It is only required if you choose subclass 188B, the Investor stream visa. You are not compelled to invest in particular instruments or options provided that you meet the investment requirements set by the Bureau of Immigration and Border Protection (BIDP). But if you are able to acquire permanent residency status, more activities and options become available for your choosing, something you cannot do with a provisional visa. For you to obtain Visa Investor Stream (permanent) Visa, you must have lived in the country and held an investor stream (provisional) visa for not less than two years out of the required four years before you apply for the permanent visa type. Furthermore, you and your partner must have invested the required amount in a state or territory of Australia for the last four years. Regarding the acquisition of Significant Investor Stream (Permanent) Visa, you and/or your partner must have resided in the country for a certain period and have held a provisional Significant Investor Stream Visa or Extension Significant Investor Stream Visa. You must also demonstrate that you have made complying investments in a state or territory in the country for the last four years. As for obtaining Premium Investor Stream (Permanent) Visa, you must have held provisional premium investor stream visa for at least one year and must be sponsored by the Australian government through Austrade. As we have said earlier, the permanent category of the different investor visas (subclass 888) gives you more benefits than the provisional investor visas (subclass 188) in terms of freedom for your investment undertakings, more options for your family when it comes to their education, Medicare benefits shouldered by the state, and, best of all, eligibility to apply for Australian citizenship in the future. Please note that it is your responsibility to ascertain that your investments comply with the requirements of the stream that you are applying for. In this case, you may want to seek independent legal advice to make sure that the investments you may make for a particular stream is a compliant investment. But you need not to worry about that concern. Our company, Nowak Migration, can very well provide you with the needed assistance in finding the legal help that you may require in the process. We are proud to inform you that we maintain close coordination with some of the topnotch lawyers in the immigration industry. Hence legal help may be the least of your worries if you choose to avail of our services. Our staff will conduct research on a local market of your choice for profitable investment options and instruments. We will be with you from the submission of your expression of interest (EOI) up until the release of the invitation for you to apply for the visa of your choice. As part of that task, we will deal with state and territory decision makers so that you will get the much-sought nomination from them and we will make the necessary follow-ups with the immigration department until you are given the invitation for a visa application. We at Nowak Migration can do all of these activities because we keep harmonious working relationships with accountants, business brokers, lawyers specializing in business law and migration as we have already mentioned earlier, and other professionals involved in the processing of your visa. We leave no stone unturned in our effort to get the visa you’ve been longing to get hold of. If you’re not sure yet about a lot of things regarding the investment visa that you are aiming for, book us for consultation. Let’s make sure we take the first step of the process right. It’s costly to make mistakes while the course of action is already ongoing. So, we better sit down first and discuss your concerns. It’s easy to reach us. Simply pick up your phone now and dial (07) 3668 0658. Needed assistance from us gets to you real-time. You may also contact us through this website if you’d prefer to do so. Do you find this article helpful and informative? If so, please share with us and our readers your opinion, suggestions or requests in the comments box below. We will certainly appreciate them. Investor visa Australia subclass 188, more formally known as Business Innovation and Investment (Provisional) Australian visa has five streams, three of which are intended for those who want to maintain an investment activity in Australia. What separates the three from each other is basically the amount of the investment. You must also be nominated by a state or territory government.